My first meeting was with Ayubu Mbwambo from WAT Human Settlement Trust. WAT-HST has an overall goal is to assist low and middle income groups, particularly women to have access to adequate and affordable housing and secure tenure. They work in jointly with WAT-SACCOS, whose objective is to improve the standard of living of its members; provide varied financial services to members as per their needs and encourage more members to join the SACCOS. Over the past few years, WAT has used 3 different HMF. Initially, they established a Shelter Loan Revolving Fund (SLRF) that worked with small groups of low and middle income households, particularly woman, who would together take loans for the same amount. 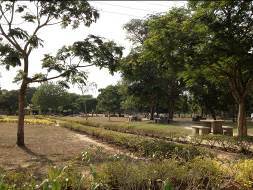 WAT received land from the government and would sell it to the members by giving them loans, and would offer housing support services. WAT then decided to continue with the group loan model and applied for a three-year HMF pilot project. Using FSDT (Financial Sector Development Trust, Tanzania) as the guarantor to secure loans, WAT would first purchase land, then design a layout for the subdivision, get borrowers, then incrementally build depending on the borrower’s ability to pay. Borrowers would be part of the development before the start of construction. Most recently, in December 2012, WAT started to work with the CLIFF program, which enabled WAT-HST to purchase land and construct a core home, then sell the final product a borrower. In all three of WAT’s models thus far, they have created a program and a market, by targeting specific neighbourhoods. The loans have been given to borrowers who are or will be living on WAT property, and whose homes will be built incrementally through technical construction support from WAT. As WAT continues to grow and efforts are made to address housing needs of low income households in the region through loans as well as housing construction, there are some hurdles which they face. Government barriers – construction and planning approvals processes can be cumbersome, requiring additional staff resources, time and money, which is particularly challenging when there are expectations from borrowers and funding partners. Incorporate a method of monitoring how funds are being used to ensure that they are being used for housing and not for other things (school fees; marriage; funerals etc.). This is easier when homes are closer together such as WAT’s housing development. Selfina is an MFI that has been working with women to provide micro-loans for small business as well as providing education and training around HIV/AIDS and paralegal issues around housing tenure. Dr. Victoria Kisyombe who heads the organization is interested in developing an HMF product for her clients, so that woman have greater rights to their home. There are two streams of HMF that Selfina is interested in. The first stream is where the finance would go towards settling the legal rights of the home. There is a high demand for this and Selfina has already established a connection with that market. The legal process takes only about a month, and therefore this could be a quick turnaround for an affordable lending product. The second stream that interests Selfina is a type of lease-to-own model. They are looking to find a partner who would go into the actual construction of low cost houses. Selfina would then lease these houses to the women who, after certain payment milestones had been reached, would ultimately become the title holders. Sefina is very much at the early conceptual stages of exploring the HMF product, but thus far their loans have gone to about 30,000 women, and training has been given to thousands. This would be their starting market for HMF. In order to develop an HMF program, Dr. Victoria Kisyombe understands that there are key matters that need to be addressed early on. Capital finance and seed funding is needed to kick start the program. This will require finding the appropriate funding organizations, both local and international, who will not only provide financial assistance but also financial education on HMF business models. Technology to administer and track loans as well as training around this software is needed to monitor the HMF loans and borrowers. Boaz Ackimu is the manager of Tujikomboe Microfinance Company, a newly developed HMF provider who had started up with no financial support from outside sources, though are now looking for funding so they may grow. They have nearly 100 clients who came to them through word of mouth and through a flyer distributing marketing campaign that they ran at the central bus area in Mbgala, a neighbourhood in Dar es Salaam. Mbagala was chosen because of its over 3000 population and because there are all levels of homes present: new, old and under construction – this allows for mixed HMF types and develops a more diverse portfolio. While Tujikomboe’s clients are of mixed incomes, about 95% are of low income. Mr. Ackimu recognizes that there is a need to address the needs of middle income earners who are being left out. Tujikomboe does not provide any housing support services (HSS) as this would increase the cost of the loans to the borrowers – however they would consider working with local university students who may be willing to donate their time to gain experience, and may motivate borrowers to learn about good construction practices. 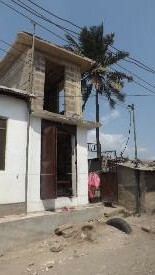 In order to verify that loans are being used for housing, Tujikomboe takes before and after pictures of the home. In addition, they will decrease the monthly interest rates if the borrower proves that the loan is being used for housing – this encourages the borrower to not only use the loan for housing, but also to build quickly. External – Tujikomboe has been working fairly independently so far and wants to partner with related organizations in order to gain funding to grow as well as build connections to build capacity and advance their business. Internal – currently there are 8 staff members on the Tujikomboe team and for it to grow, additional staff are needed, which is a challenge. The Mortgage Finance Specialist at the Bank of Tanzania does not recognize any of the housing initiatives in Tanzania as what he considers as housing microfinance. Instead, he looks to South America as a leading example of how to provide HMF. He will be approaching the government with a report on HMF completed earlier this year on the viability and demand for HMF in Tanzania, and believes that the public sector should lead the way with stimulating this market. The key challenge is how to use the funds in a sustainable way while addressing the housing needs across different income groups. There is the opportunity for financial literacy – Some borrowers don’t differentiate between a loan and their income. They think of the loan as free money and don’t pay it back. However, it is not up to the lender to provide basic financial literacy in regards to saving and borrowing, this should be ingrained in culture; and for this there needs to be a change at the national level, through schools, local business educators, and perhaps others. The lender does have more than just a finance role when it comes to HMF. That is to build capacity of borrower by making borrower understand the HMF product and the program so that loans are used appropriately and repaid. The target market may be whomever the lender and their business model dictates. While some lenders focus on low income as their mission, using the full market and its range of income levels, would reduce risk and create opportunities for cross subsidies. There is a regulatory framework that supports the delivery of HMF in a viable way while also helping people climb the economic ladder. However, there are currently too many barriers that make both HMF and housing unaffordable. This includes planning barriers (minimum lot size is large and unaffordable to many) and administrative barriers (inefficiencies in government programming and unnecessary admin costs). So how does HMF work again? Is it ok that HMF is being implemented in different ways, or should it be streamlined? HMF has been going on for a long time, just not under the ‘HMF’ label. Under this new label in Africa, I think all of the approaches should be considered as we are still trying to figure out what works best where, and how to create appropriate products depending on the organizations mandate and target. Is HSS part of HMF or a by-product? I think HSS is a by-product of HMF. However, because the market is not building homes, HSS as demonstrated by WAT’s development, is filling this gap so that HMF can happen. 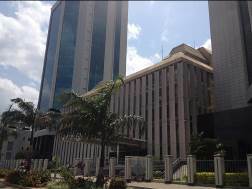 Also, HSS is not necessary construction support, but can also be the policy and research supporting HMF such as the work from the Bank of Tanzania and the National Housing Corporation. Who should champion HMF – the public or private sector? Perhaps a bit cynical, but I don’t think we can depend on either to fully ‘champion’ HMF and both need to work together. In the context of HMF, the public sector can facilitate: Financial literacy, planning and building legislation, policies and support, providing access to utilities and services, affordable land distribution and infrastructure improvements. The private sector may work better in construction, community development and HMF product (loan) distribution. In my research of developing a method to track ‘evidence of HMF’ do I include all types of HMF them? And if so, do I start from the lender or from the homeowner as Professor Lussuga Kironde recommends? At this point all types of HMF (HSS driven, policy driven, and finance driven) should be included so that they may realize that they are actually on the same page and are mutually enforcing. I’ve been looking at tracking from the lending side, however at a community level, it would be useful to understand from the borrowers side how they have financed the incremental building of their home. This would help to clarify the correlation between microfinance and housing development. So what does this all mean for HMF researchers and practitioners? There is a need for us to work together and share resources, challenges and accomplishments. CAHF is a useful source to collect and distribute this information and help HMF providers connect with relevant experts and partners. As someone who isn’t working on the ground in construction or actually distributing the loans, we have a unique birds-eye view of all the different HMF features and are beginning to see how they are inter-related.